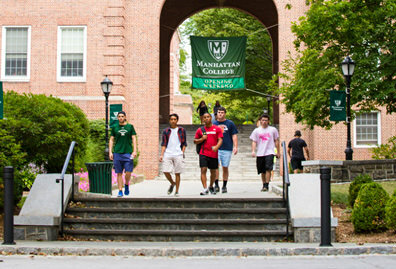 Manhattan College is constantly working toward making campus more sustainable and decreasing the carbon footprint of its students, faculty and administration. 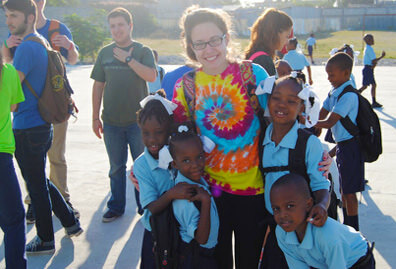 The College has established a Sustainability Committee that is spearheading these efforts. 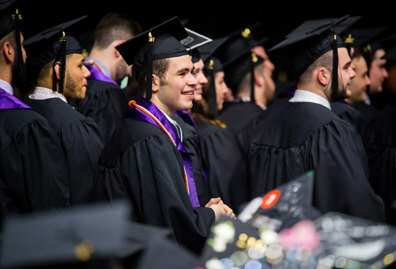 The committee is composed of students, faculty and administrators. 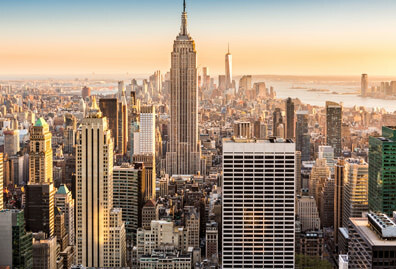 To focus our sustainability efforts, Manhattan College has partnered with The Association for Advancement in Sustainability for Higher Education (AASHE). 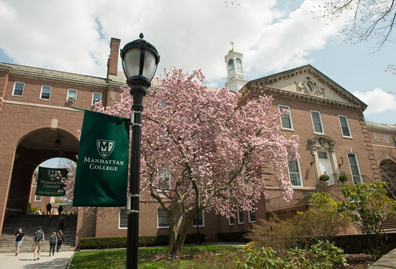 This partnership will provide Manhattan College with direction and leadership to guide our efforts in reducing the College’s carbon footprint. Additionally, in collaboration with the College’s dining services provider, Gourmet Dining, Manhattan College has constructed a campus community garden that grows salad greens and vegetables that are served in the cafeterias. Solar Project: As part of the college’s sustainability initiative, the Environmental Politics class taught by Dr. Chasek is currently working on a project to assess the possibilities for renewable energy on campus. The group of students will focus on the capacity for solar energy to generate electricity for two of the main academic buildings—O’Malley Library and Hayden Hall. 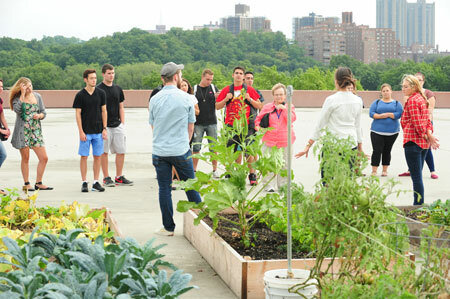 Rooftop Garden Project: Students worked to build Manhattan College’s first rooftop garden atop the school’s Broadway Parking Garage. The project’s purpose is to explore the feasibility and benefits of urban agriculture.